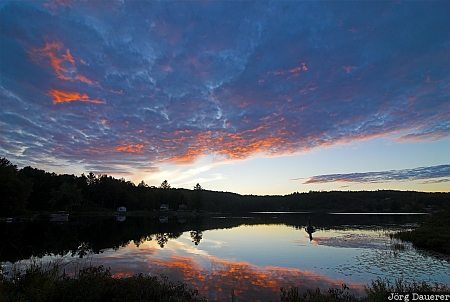 A colorful sunset and its perfect reflexion in the calm Sabin Lake. Sabin Lake is in northern Vermont in the eastern part of the United States. This photo was taken in the evening of a cloudy day in September of 2006. This photo was taken with a digital camera.